Mickey Callaway may have been the MVP of the 2013 season and he didn’t throw an inning, take an at bat, or pinch run. It was his handiwork with the pitching staff that led to one of the most dramatic turnarounds in baseball last season and helped propel the Indians to a 92-win season and a playoff berth. The most obvious example of Callaway’s magic touch was Ubaldo Jimenez, but he was far from the only one. What Callaway was able to do with a rotation that entered the season as a major question mark was a remarkable job. The Indians finished the 2012 season with the 28th-ranked pitching staff by wins above replacement player according to Fangraphs. The group was worth just 6.3 wins, or 18.6 fewer than the league-leading Detroit Tigers. The Indians’ staff ranked 29th in ERA, posted the 24th in FIP, the 29th in K/9, and had the fifth-highest BB/9. For just the starters, who were worth a pathetic 3.3 WAR, they ranked 28th in ERA, 27th in FIP, 29th in K/9, and had the third-highest BB/9. They also ranked 27th in innings pitched, placing a heavy burden on the bullpen. The 2013 season was decidedly different for the Indians’ staff. The group was worth 15 WAR, still 14.3 behind the league-leading Detroit Tigers, but a significant improvement of nearly nine wins from the previous season. Tribe hurlers posted the 15th-best ERA, ninth-best FIP, second-best K/9, and had the second-highest BB/9. For just the starters, they combined for 13.4 of the team’s 15 wins above replacement player. That was a 10-win upgrade from 2012. They ranked 14th in ERA, eighth in FIP, second in K/9, and had the fifth-highest BB/9. The underrated offseason continued for Chris Antonetti on Wednesday when he acquired Josh Outman from the Colorado Rockies for Drew Stubbs. The appropriately-named pitcher will serve as the team’s second lefty in the bullpen behind 2013 Trade Deadline acquisition Mark Rzepczynski and, like most of the players the Indians have acquired recently, will be put into the best possible position to succeed. Outman was tremendous against left-handed hitters in 2013, holding them to a .195/.278/.261 slash line with a .249 wOBA. Right-handed hitters had far more success with a .343/.423/.459 slash and a .359 wOBA. Inexplicably, Outman faced 126 lefties and 112 righties during the 2013 season. As my buddy Steve Kinsella noted on Twitter, Rockies’ manager Walt Weiss realized he was using Outman incorrectly and he faced 18 more lefties than righties in the second half after facing more righties in the first half. Of Outman, GM Chris Antonetti had this to say: "We'll try to leverage him as best we can to allow him to be successful and allow our team to win as many games as possible. The role will still be determined, but I would envision him pitching more against left-handed hitters than right-handed hitters." The Indians entered the 2013 offseason in need of a closer and it appears that they have found one in former Milwaukee Brewers closer John Axford. With Joaquin Benoit and Grant Balfour gathering most of the attention and a higher price tag, the Indians turned their focus solely on Axford and were able to get what appears to be a one-year deal done. Financial terms have not yet been disclosed and the contract is pending a physical. The Indians haven’t been as quiet as some people would lead you to believe this offseason. They have had plenty of negotiations, but have fallen short on several free agent starting pitchers and a handful of relievers as well. With a front office that operates under the pretense of limiting risk, an extra guaranteed year or a higher annual salary in lieu of the extra year can hamper the team’s ability to sign a free agent. Axford, however, seems to be a great fit. Much of what the Indians did last season, except for the signing of Mark Reynolds and the announcement of Terry Francona as the manager, was completed after the Winter Meetings. The Nick Swisher signing was announced in late December, but was not officially completed until after the holidays. Michael Bourn was signed just before Spring Training. Brett Myers was signed in early January. Under the current economic climate of baseball, the Indians have to wait for both the market to settle as well as the competition for the players that they’re targeting to die down. With a lot of teams already making transactions, the Indians would have fewer teams to contend with during player negotiations. In Axford, the Indians get a guy who ended his season on a high note with the St. Louis Cardinals after losing his job with the Brewers. Axford was a waiver trade deal in late August. The Cardinals non-tendered Axford earlier this offseason because he was in his first-year of arbitration-eligibility and he was not going to get less than his current $5M salary. With cheap, young arms in the pen already, the Cardinals had no reason to pay him that much. 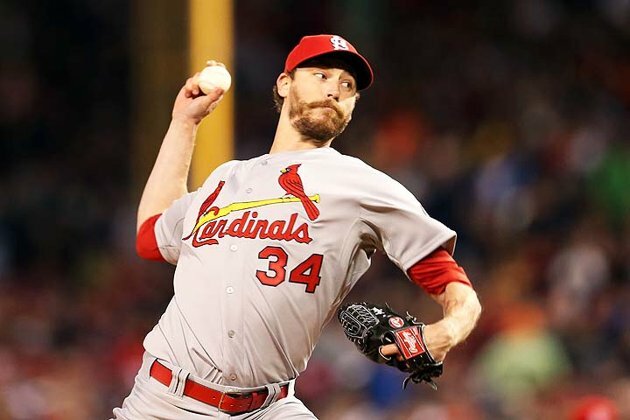 His full season stats from 2013 aren’t eye-popping, as Axford went 7-7 with a 4.02 ERA, but he did make 75 appearances and ended the season with 10 appearances covering 13.1 innings for the Cardinals with an ERA of 1.74 and an improved strikeout-to-walk ratio. There are plenty of positives to signing Axford. For one thing, he had two seasons of tremendous success as the Brewers closer in 2010 and 2011, posting ERAs below 2.50 with 70 saves in that span. He had 35 saves in 2012, but posted a 4.67 ERA as his walk rate and his home run rate spiked. He has had past success and plenty of experience in the closer’s role, which is something both Chris Antonetti and Terry Francona wanted. Secondly, and perhaps most importantly, the Indians could sign Axford to a one-year deal and still control exclusive negotiating rights for the 2015 and 2016 seasons. Because Axford has not accrued enough service time yet, he is still arbitration-eligible through the 2016 season. That gives the Indians plenty of financial flexibility in regards to Axford’s future. Finally, Axford’s a very interesting character and, by all accounts, a good teammate. One of the best stories in recent years involves Axford, a letter he left for the media after leaving the clubhouse in a hurry following a blown save. On a tight-knit team like the Indians, Axford should fit right in. If Axford were a malcontent like Chris Perez, as long as he did his job, there would have been no issues. But, Axford fits into the locker room and, while it has no bearing on the field, suffice to say that it probably played a role in how interested the Indians were. The Axford signing could bring tremendous value for the Indians. He has swing and miss stuff and throws hard at the back end of the bullpen. He ran into control problems with Milwaukee and if Ubaldo Jimenez’s turnaround is any indication, Mickey Callaway should be able to help Axford make adjustments. One of the biggest adjustments to be made with Axford is getting ahead in the count. During his good seasons in 2010 and 2011, Axford’s first-pitch strike percentage was 59.2 percent and 61.6 percent. League average for relievers in 2013 was 59.8 percent. In 2012 and 2013, Axford’s first-pitch strike percentages fell to 54.2 percent and 53.3 percent. Hitters were ahead in the count more often, leading to an increase in home runs, a drop in strikeout-to-walk ratio, and, subsequently, runs allowed. In Axford’s brief 10-game stint with the Cardinals, he threw first-pitch strikes 61.4 percent of the time. Last season, American League hitters batted .229/.270/.349/.618 after a first-pitch strike. They improved to .269/.377/.438/.815 after a first-pitch ball. It’s not as cut-and-dry as throwing a first-pitch strike, but that’s certainly a start for Axford to return to being a highly-effective reliever. To fully understand the signing, you have to understand how the Indians front office operates. Two advanced pitching metrics, xFIP and SIERA, both rate Axford very well. xFIP is a metric that takes FIP, fielder independent pitching, and recalculates it assuming a league-average home run rate in relation to the fly ball percentage a pitcher allows. In Axford’s case, this is relevant because Miller Park had the highest home run park factor in 2012 and the fifth-highest in 2013 and his fly ball rate was relatively low. SIERA, which stands for skill-interactive ERA, is an advanced metric that puts a high emphasis on strikeouts and batted ball types. Axford records a lot of strikeouts and induces an above average ground ball rate. The Indians use a lot of advanced metrics in their scouting and evaluation. While Axford’s walk and home run rates are still a concern, the Indians feel that there is a lot of value in a guy that has struck out 28 percent of batters he has faced and that has induced nearly 47 percent of balls in play to be hit on the ground. They are taking a chance that a more pitcher-friendly environment will help to curtail his home run rate and that Callaway will be able to help Axford with command and control the way that Callaway helped most of the pitching staff in 2013. This is a strong signing. The Indians can keep Cody Allen and Bryan Shaw in their current roles, which they thrived in last season, and can use them for the highest-leverage appearances in the seventh and eighth innings. Axford is a candidate for a bounceback season and will likely be the cheapest of the free agent late-inning relievers on the market. It’s a meticulously-calculated gamble from the Indians front office and one that will hopefully pay off handsomely. Excuse me if I'm not at all impressed by the deals that some teams have been handing out to starting pitchers thus far in the MLB Hot Stove season. Targets, who in other years the Indians might be interested in at lower prices. Targets, who became pick-ups for other teams because they went ahead and just did a little more than what we've become accustomed to. Look, I know there is more money out there with TV contracts and rules changes and all the fun jazz that we have as reasons for inflated contracts or teams spending what you are not accustomed to them spending. Are we really surprised when the hottest free agent, this year Robinson Cano, can take in that much money? It sometimes is a surprise in who that free agent signs with; raise your hand if you saw Seattle as the team doing that deal a month ago. Minnesota has dished out over $70 million over the course of the next four years for two starting pitchers who, at the end of the day, can be big questions marks. Scott Feldman (from across the hall) got a three year deal. And here ya go... The Oakland Athletics didn't need to go three years to pry Scott Kazmir away from the Indians, they just needed to give him more money. I would have said that Kazmir signed with the Indians if all he got was a two year deal, because I thought that he would win out if there was a similar offer somewhere else, as long as no one went three years. The Athletics just needed to offer too much money for Kazmir to deny and the Indians to match. The calm before the storm was actually the calm within the storm. Last week, we talked about how that this whole winter meetings thing wasn't the Indians jig to jive to. They're speed is much more what we are seeing this week. It didn't take very long for the winter meetings to end and all the talk to subside for business to pick up. Because that's how the Indians go about doing their business. All this talk all week, oh we'll talk about the talking. But not before we talk about the business that has actually gone down in the past few days. Talk is cheap, and it's even cheaper when it's talk about more talk. 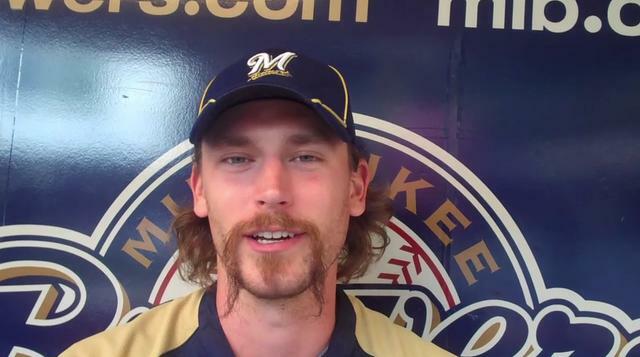 There's a lot of great things about John Axford. His name rocks, it's a built-in nickname and moniker for the role of a closer. He's got a fantastic mustache. And while I'm sure there are other things that make him great, those two are the only ones that matter to me. Rubber Duckie, You're The One! Chief Wahoo, Lets Have Some Fun! Cleveland Sports/ Classic Rock Vault: Sure- 591,361 Announced, But How Many Really? Are You Not Entertained on this Lazy Sunday? Remember the Night We Mets? Am I a Bad Fan? Morning Rundown: What's Left To Say? SUPPORT THE TRIBE! Cleveland Sports/ Classic Rock Vault: 9/12/54. Happy Anniversary, Tribe Fans! View from the Porch: Can The Indians Play Their Wild Cards Right? Who Cares About Brett Myers? Can the Indians Sustain Success in the Second Half? For the Indians, How Does It End? If You Buy It: Has the Dolan Family Renewed their Contract with Indians' Fanbase? Are the Indians' Playoff Hopes Dead? View from the Porch: Catcher In The Why? The Poetic Beauty of "In Play, Run"
Morning Rundown: Even Their Backups Are Good! We've Seen This Tribe Movie Before - Or Have We? What's Wrong With Jason Kipnis? Morning Rundown: A Whole New U? McAllister Poised for Breakout Season? Cleveland Sports Vault: Here’s What You Need to Know about Bill Wambsganss, See? Should the Indians Trade Asdrubal Cabrera to St. Louis? 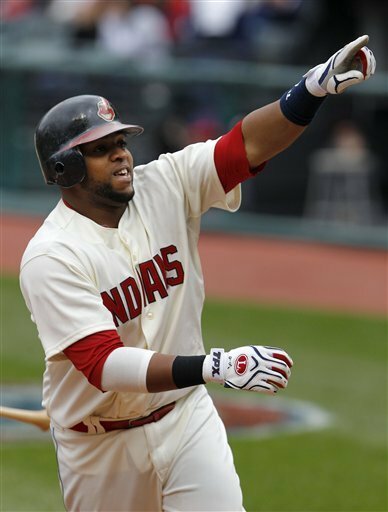 Can the 2013 Indians Follow Path Blazed by A's, O's? What's Gotten Into the Tribe? What to do with Baseball's Hall of Fame? Offseason Rundown: Are You Not Excited Now? Offseason Rundown: Who Are These Cleveland Indians? Did the Indians Choose Wisely in Their Latest Pitching Deal? View from the Porch: Should They Stay or Should They Go? View from the Porch: End of Era or Error? Morning Rundown: Should the Tribe Consider a Santana Switch? Indians Fire Acta, But Who's Accountable? Morning Rundown: No, Really, You're Still Watching? Morning Rundown: You're Welcome Chicago! Morning Rundown: Change To Embrace With Perez's Comments? Morning Rundown: Is This Real? A Winning Streak? Morning Rundown: Are We Having Fun Yet? Morning Rundown: Road Woes Continue; Can Carrera Compete? View from the Porch: Did Manny Acta Declare WAR? Opposite Field #21: O-MG! Vizquel to Retire as an Indian?! View from the Porch: What If You Had A Say? Are Tribe Fans Realistic About The Team's Ability To Compete? Game 111 Recap: We Got One! When Can We Laugh About This? Game 107 Recap: We're Not Grrrrrrrreat! Opposite Field #20: Would You Swap Rosters with the Royals? Morning Rundown: Tribe 2-For-2 Against Verlander...Say What? Morning Rundown: The Fall To End Them All? Game 91 Recap: Santana Comes Alive! Managing Well? Or Just Managing To Get By? Opposite Field #19: 'What If' the Tribe Tried Marketing Like Dominos? Opposite Field #18: "Wait, That Guy was an All-Star?" Game 78 Recap: Can the Indians Play the Orioles Every Day? View from the Porch: Is Omar Vizquel a Hall of Famer? View from the Porch: Is Tribe Right to Think Left? Game 67 Recap: Wahoo Walk-off Winner! Game 66 Recap: We Scored How Many?! Can the Tribe Maintain a Fertile Farm System? Is the Glass Half Empty or Half Full for the Tribe? Fools Gold or The Real Thing? Morning Rundown: The Big U Tops Yu; Where Are YOU Cleveland? Tribe Game Vault: 5/26/93. Canseco Patrols RF at the Stadium; Hilarity Ensues! Has the Wild Card Saved or Screwed the Indians? Tribe Game Vault: 7/2/70. Will Slugger Tony Horton Come Through in the Ninth? What Do You Do With a Problem Like Ubaldo? 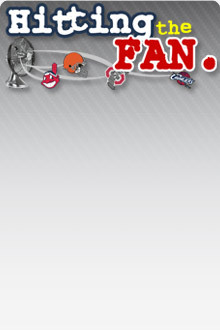 Pié in the Sky: The 2012 Indians' All-Hot-Stove Team! I'm Not Sold On It, What About Choo? Offseason Rundown: Mystery Team? How about a #MysteryTrade! 2011 Indians Offseason Preview: Can the Tribe Get Creative Again? Blast From The Past: Frankie Pytlak. "That's a Good Czech Name, You Know." The Cycle: Too Early To Discuss Dealing? Blast From The Past: Leon Wagner, "Daddy Wags"
Hop on my Indians Bandwagon! The News Cycle: Can the Indians Shock the World? Jon & Paul Plus Baseball: What Will Mike Be Like? Can a Tiger Find His Stripes in Cleveland? Indians 40-man Review: Who Do They Remove? What To Do on A Lazy Sunday? Santana's Injury a Result of a Broken Code? Offseason Happenings: No On Aybar, Yes To Another Arm? Offseason Happenings: Could Indians Be Targeting Aybar? Indians 40-man Review: Who Do They Add? Indians 40-Man Review: Who Could They Still Remove? Where In The World Is Jordan Brown? You Were Expecting What Exactly? Staying The Course ... But What Course? Minor Happenings: More Roster Changes Coming? Minor Happenings: Brantley The Next To Be Called? Minor Happenings: What Can Brown Do For You? Can I Have Some Tomahawks On That Roll? 'Lost' After Only 22 Games? Minor Happenings: So Long J.D. Will Hell's Bells Ring In Cleveland? So Who Do The Indians Roster? Minor Happenings: Aubrey To Cleveland? How Free Is Free Agency? The Roundtable: Will The Indians Resign Sabathia? What To Do With Carsten Charles? No Pain ... No Pain! Minor Happenings: Weglarz The Next Thome? Minor Happenings: Jensen On The Verge Of A Callup? The Roundtable: Who Is The Indians First Half MVP? The Roundtable: At The Quarter Pole, What Is The Indians Biggest Need? The Song Remains The Same? The Roundtable: Can Wedge Survive Another Poor Start? 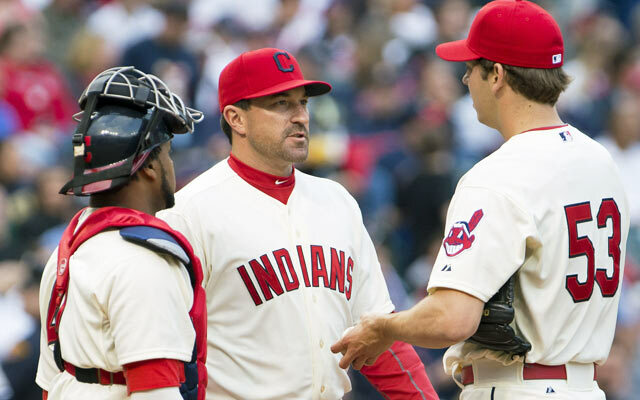 Spring Happenings: Indians Close To A Deal With Hafner And Westbrook? What Happened To All The Good Nicknames? Spring Happenings: With Shapiro Extended, Who Is Next? The Indians Roundtable: What Is The Indians Biggest Need? The Indians Roundtable: How Important Is Peralta? The Indians Roundtable: Did The Tribe Get Foulked? 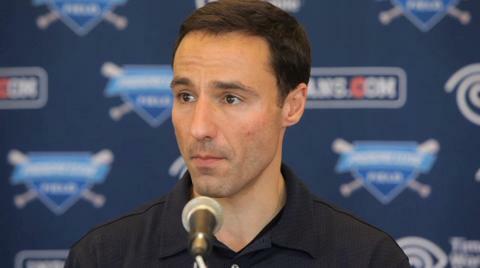 The Indians Roundtable: Shapiro Extension A Good Thing? Minor Happenings: Affiliate Shuffle After 2008? Minor Happenings: Kouzmanoff In The Plans At 3B In &#39;07? Minor Happenings: Davis Closing? Crowe To Akron? Minor Happenings: Miller Buffalo Bound? Minor Happenings: Carmona to the Tribe Bullpen?